Comments Off on Paul’s Plant Picks: Could it be? Desperate for a sign of spring, I’ve been carefully combing the gardens at work and at home for any indication of the coming season. It’s been a long and bitterly cold winter, especially when we compare it to last year. Everyone I’ve spoken with is done with this winter and I have to agree. Enough already! Bring on the sunshine and above-zero temperatures. I was pleasantly surprised at the number of Hellebores just waiting for a few degrees of warmth to shine with their display of magnificent blossoms. Could it be? 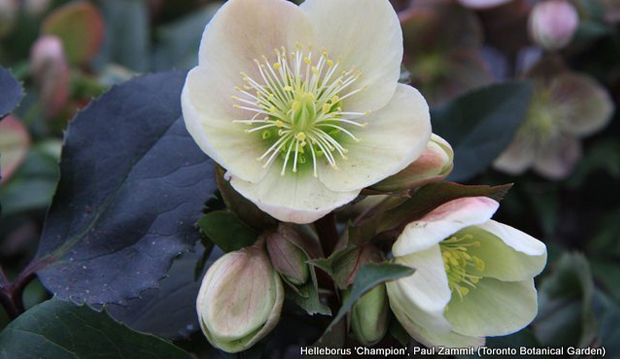 In the Westview Terrace, the flower buds of Helleborus niger ‘Maximus’ (shown above) were in place last fall. After just a few milder days, the flowering stems that were tight to the ground are now elongating and putting forth this year’s display. 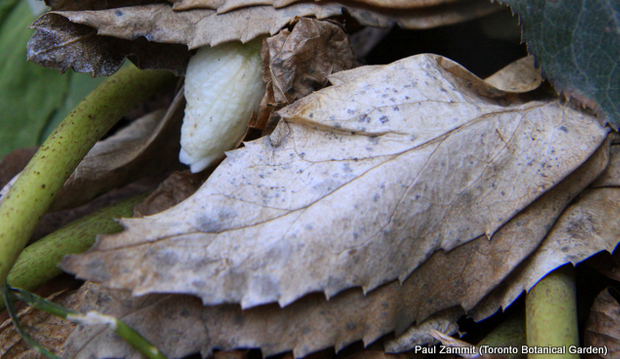 We’ll need to get into the garden very soon and remove all of the damaged and dry foliage from last year. As of April 15 (weather dependant), you can expect to see our incredible team of volunteers back in the garden. 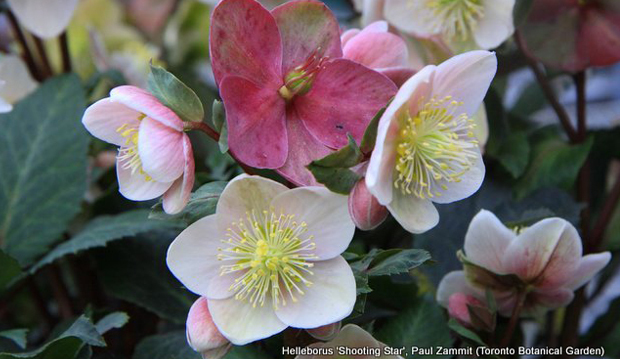 We’re also eager to the see how the many new Hellebores we added last year will perform this season. 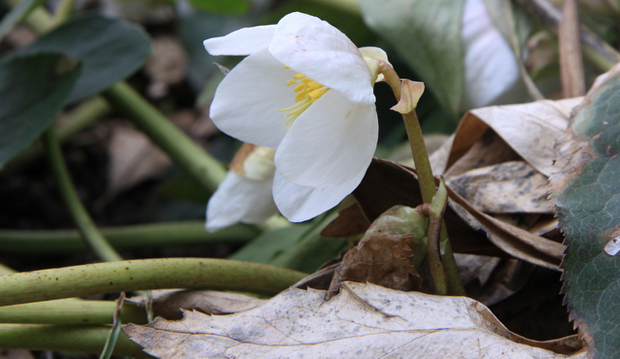 One of the new additions was Helleborus x ericsmithii ‘Piroutte’, which was planted in the Floral Hall Courtyard. Many of these new additions are visible from inside the building looking into the Floral Hall through the windows across from the garden shop. Stop by for a visit soon. Speaking of new Hellebores, I’m so pleased to have had my camera with me on a recent trip to Plant World Ltd., a large garden centre in the west end of the city that will be celebrating it’s 125th anniversary this season. Stepping into the perennial house at the nursery, I was welcomed by a colourful display of spring bloom bulbs, breathtaking heathers, always cheery violas and an assortment of perennials, including three new Hellebores I wasn’t familiar with. 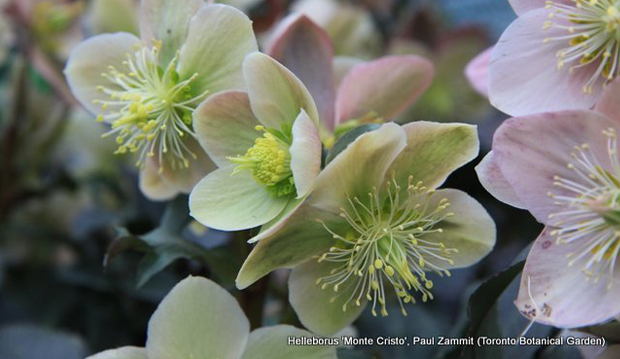 Personally, I’m drawn to single-blooming Hellebores with outward- or upward-facing flower buds and blossoms. Three selections in particular caught my attention (shown below). I was also reminded that there are new selections coming soon. I managed to control myself picking up only four of the Helleborus ‘Champion’, whose dark foliage and soft-yellow blossoms I couldn’t resist. These will eventually be added to our TBG collection. For me, a visit to the garden centre can be such a therapeutic experience (in addition to a drain on the wallet and the retirement fund). This weekend, I’m looking forward to visiting Canadale Nursery to present a talk at their Spring Gardening Show. Although I’m looking forward to the presentation, I can’t wait to see what plant treasures they’ll have in stock and which may be appearing at Toronto Botanical Garden very soon. 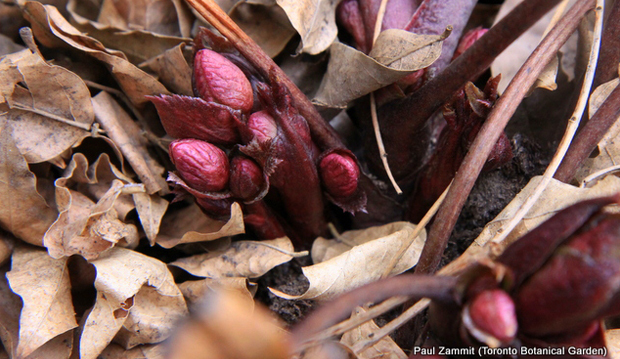 What’s In Bloom: No, Really!